With this budget, there will be no more flagship missions, no more fantastic voyages of discovery in deep space. Deep space exploration is not a faucet that can be turned on and off. If NASA loses its expertise in interplanetary missions, the world loses it. We are on the verge of finding evidence of life elsewhere in the Solar System. With these cuts to NASA science, humankind loses. There's going to be a fight. The Planetary Society is already swinging into action on this issue. Stay tuned. We must maintain the momentum needed to investigate humankind's deepest questions about ourselves and life itself. "There is no other country or agency that can do what NASA does -- fly extraordinary flagship missions in deep space and land spacecraft on Mars." 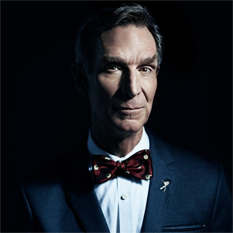 Bill Nye said. "If this budget is allowed to stand, the United States will walk away from decades of greatness in space science and exploration. But it will lose more than that. The U.S. will lose expertise, capability, and talent. The nation will lose the ability to compete in one of the few areas in which it is still the undisputed number one." "Now that the budget is out, The Planetary Society will mobilize its tens of thousands of members and supporters in the fight to restore science in NASA to its rightful place," Jim Bell said. "We will work with Congress to advocate a balanced program of solar system exploration with exciting and compelling missions that are supported by the public -- who ultimately are the ones paying for everything NASA does." If the US Administration decides to promote space exploration instead of spending billions of dollars on useless wars, ESA will not be forced to turn to Russia to be able to continue its space program! This would be a real shame! Unfortunately, I'm not a US citizen, so my opinion isn't worth much...But where are the Americans? Is football and baseball all they worry about??? I can't do much to change NASA's budget, but I can do my small part to help the Planetary Society in this fight. I visit Scienceleap (http://scienceleap.org/the-planetary-society/) before buying anything online. This site generates revenue for the Planetary Society with each purchase you make. Hi, I'm a college student from St. Louis, MO. I'm writing a research paper discussing NASA's funding and the U.S.'s future in human space exploration. I completely agree that NASA's success in this type of exploration is integral to humankind's future. Space exploration is such an important part of science and it is necessary for NASA to receive an appropriate budget to continue advancing space technologies. They've turned to commercial companies and other countries for assistance but this could be incredibly detrimental. Relying on others for something they are entirely capable of doing themselves, if given the means to, really gives an appearance of weakness and unreliability. The world of space research and human spaceflight is at a critical point right now, where if action is not taken, the chance for future discovery could be lost. My question is, if NASA were to receive enough funding to maintain control over human space exploration, would this really be ideal? Or would it be beneficial for commercial companies to create a space economy to encourage constant competition and innovation?